Using the most recent advances in dental implant technology, Dr. Howard is able to place single stage implants. These implants do not require a second procedure to uncover them, but do require a minimum of six weeks of healing time before artificial teeth are placed. There are even situations where the implant can be placed at the same time as the tooth extraction – further minimizing your number of surgical procedures. Dental implant placement is a team effort between an oral and maxillofacial surgeon and a restorative dentist. Dr. Howard performs the actual implant surgery, initial tooth extractions, and bone grafting if necessary. The restorative dentist (your dentist) fits and makes the permanent prosthesis. Your dentist will also make any temporary prosthesis needed during the implant process. 5 out of 5 stars based on 10 Dental Implant reviews. I couldn’t ask for a better experience! Dr Howard and staff are the best! I had such a great experience. I would recommend my family to come here. Dr. Howard and his entire staff demonstrate a high level of competence in each of their areas, as well as a sincere concern for patient privacy and comfort. Very professional and good experience. Dr. Howard was willing to answer all questions and was extremely knowledgeable. Would recommend. I would recommend anyone to Dr Howard. Very professional and proficient. 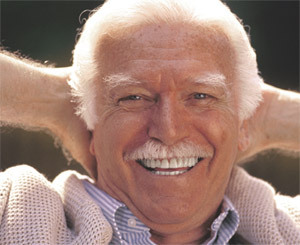 I was admittedly very overwhelmed at the prospect of needing multiple dental implants in my 30s. After some unsatisfactory appointments with a variety of specialists, I was fortunate to find Dr. Howard's practice. Having entrusted the process to Dr. Howard and his staff, I am extremely grateful for the exceptional care and glad that I ultimately selected this practice. The staff is friendly, accommodating, prompt to respond to messages, and professional. Jen, in particular, was a great point person and was always friendly and responsive to any of my needs or questions. In addition, the staff remembers issues specific to you from appointment to appointment, adding a nice personal touch so you never feel like a patient number. I received a lovely call in the hours following an extraction in which staff asked me how I was feeling and restated post-op instructions. Appointments are easily scheduled and the office makes every effort to be accommodating with appointments. Consistent reminder calls ensure that appointments are remembered and confirmed.The entire team contributes to an office experience that is pleasant and professional. From reception, to technicians and assistants, to Dr. Howard himself, my patient experience was overwhelmingly positive. Dr. Howard is a thorough, knowledgeable, kind, and talented oral surgeon. From the early stages of consultation, he takes the time to complete his assessment, give feedback, and provide options and recommendations. He is also honest about dental prognosis in a way that was very straightforward and comforting. He worked closely and collaboratively with my dentist to coordinate all aspects of my care. Importantly to me, he was sensitive to the emotional issues associated with getting implants including difficulty accepting tooth loss, aesthetic concerns, dental anxiety, and embarrassment. He was also very attuned to my needs and comfort level (both physical and emotional), which allowed me to have rather complicated dental work (including anesthesia, extractions and implants) that was not painful. I would recommend this practice to anyone with oral surgery needs without hesitation.